Bucking the trend of sober, emotionally stable police officers that currently dominates TV cop dramas, Antonio Banderas has signed on to play a “hard-drinking, romantic” detective in Havana Quartet, a Starz series based on a series of books by Cuban novelist Leonardo Padura. 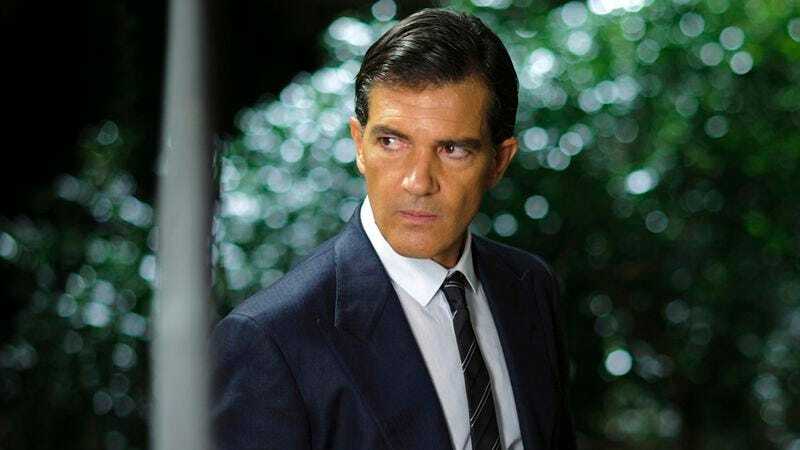 According to Variety, Banderas’s Mario Conde “longs to be a writer but settled for a job as a detective.” It’s unclear if this sort of backup plan is typical of aspiring Cuban writers, but then again pretty much everything about Cuba in the last 50-odd years is unclear. Starz CEO Chris Albrecht said the project will “give viewers a premium show that highlights the decaying beauty of Cuba during its ‘Special Period’—a time and place which tourists rarely got to experience.” Eduardo Machado (Magic City) will write the hourlong show and also serve as an executive producer alongside Banderas, Nadcon Film’s Peter Nadermann, and Sienna Films’ Jennifer Kawaja and Julia Sereny. Entertainment One Television will produce and handle distribution. Pancho Mansfield, president of global scripted programming of eOne Television, says Havana Quartet is a series that “captures both the romance and the underbelly of a country that has struck our collective curiosity and imagination for decades.” Sounds like that underbelly has always contained fictional detectives just as binge-prone as ours.